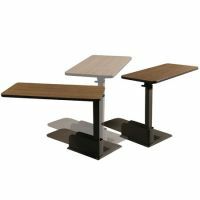 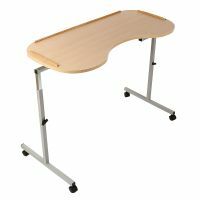 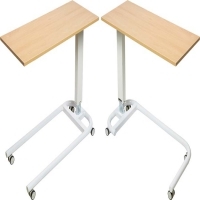 These tables comprises a table top that can be positioned close to your chair as they either have no cross bar, or it is positioned away from the user's feet. 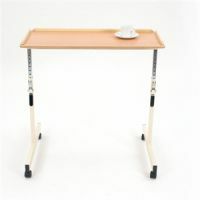 Alternatively you may wish to consider a lap tray. 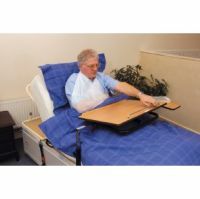 Lap trays rest on the user's lap and are usually supported on a beanbag or cushion that moulds around the thighs. 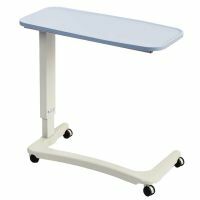 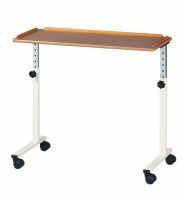 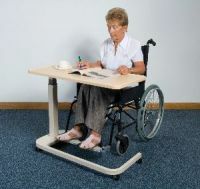 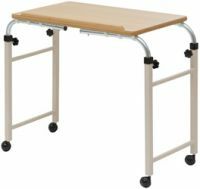 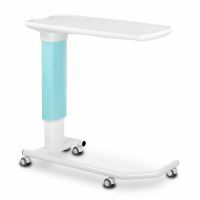 The weight and manoeuvrability of the table needs to be considered as the table will need to be moved out of the way when you stand up and put back in place when you are seated. 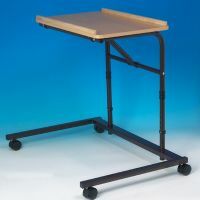 Most of these tables have castors which can assist moving them into position. 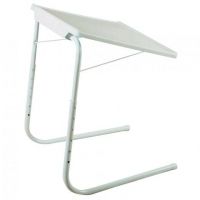 If you would like further advice regarding chairs then you could try the chair section of AskSARA. 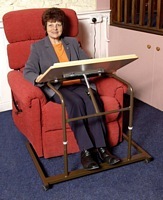 AskSARA is the Disabled Living Foundation (DLF)'s free online self assessment tool. 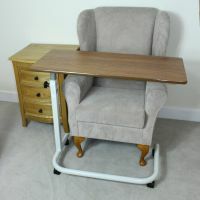 AskSARA will ask you questions about your use of your chair and then offer relevant advice, chair related product suggestions and supplier details.